A Pirate's Wife by Lynelle Clark is now available in Paperback. or directly from the author for R90 excluding postage. Calling bloggers to help with marketing! 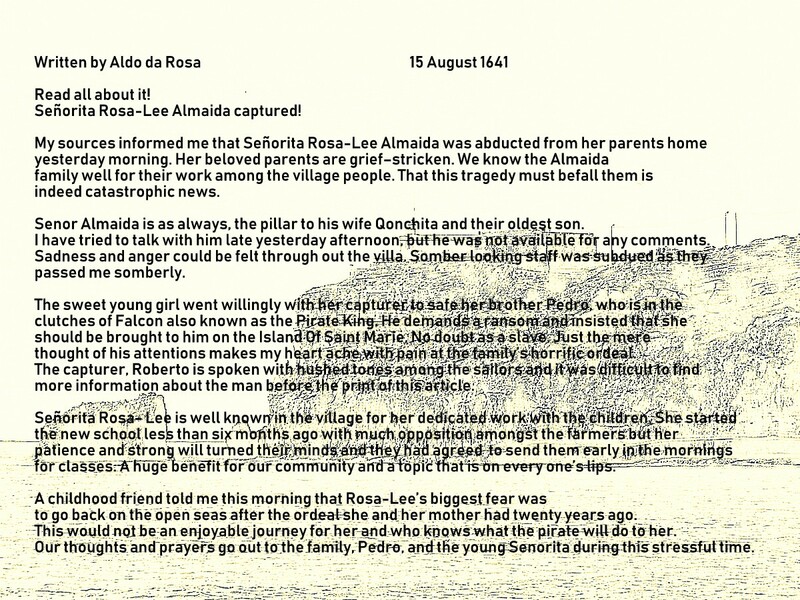 Growing up sheltered, Rosa Lee Almaida lived a carefree life after both she and her mother experienced a horrific ordeal on the seas, and in the middle of Africa, when she was only four years. Meeting her adoptive father was the only joyful and good experience as a result thereof; the man honored by all sailors on land and sea for his bravery and unconditional love. He was her hero and a model for her future husband-to-be. Now, twenty years later, she is forced to return to the seas that claimed the lives of many, including her birth father. 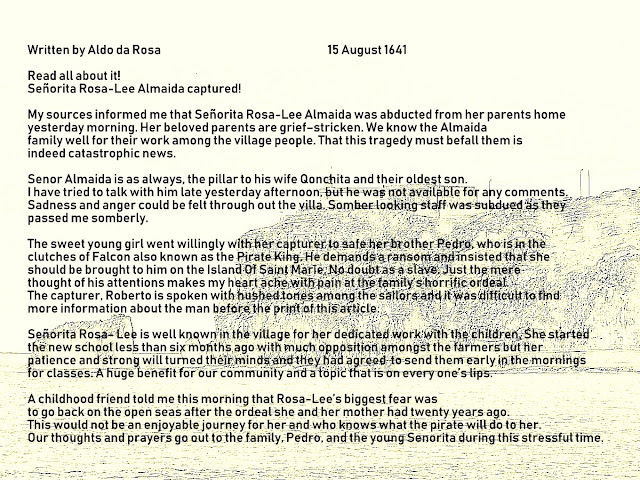 Taking Rosa Lee from Portugal, Roberto takes her to the Falcon on the Isle of St. Mary. From stories recounted by her brother, he came to one conclusion; she would be his. Throughout their time together, he came to admire Rosa Lee for her bravery during a daring escape, which reinforced his belief that she was the woman he’d waited for all his life. 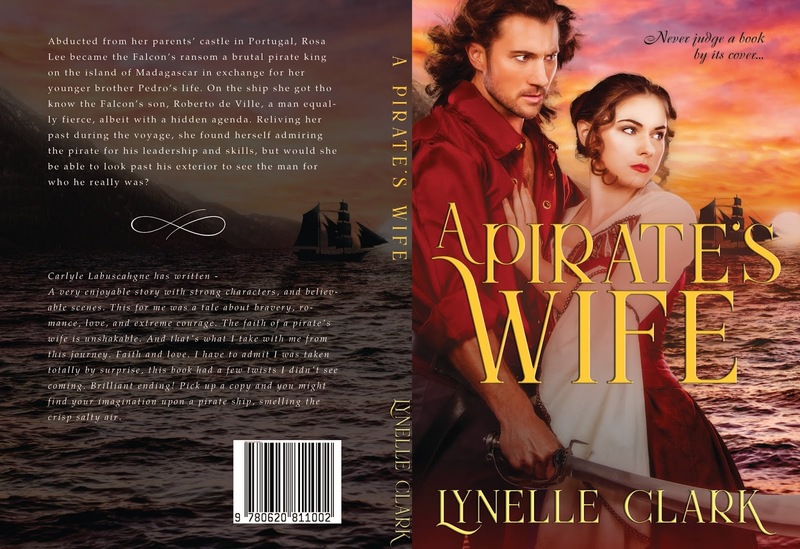 Roberto was more than willing to set his life as a pirate aside, but first, a plan had to be set in motion―one that would change his life forever. However, he could trust only one man, Pierre, his second in command, to assist him in seeing his plan to the end. I hate to rate a book great, but I do think this story is above good and at a very good level. Entertaining to read and kept my interest. The book speaks to the reader in the Pirate's voice, sometimes his captive/wife later in the storyline. Both her Father and Mother. That can be confusing, but the writing was clear and as soon as you catch on, it was an easy read, with their memories floating thru the storyline of things that had happened to them in the past. Those memories were needed to get to the end of the story. I recommend all to read it. Lynelle Clark lives in Gauteng, South Africa. Her writing career began in 2010. Lynelle has always loved to read books, in which she discovers new worlds. Meeting new people and travelling is one of her passions. So far, the writing journey has been exciting, but it helps that she loves the whole process from beginning to end.